Five years ago I bought a new iMac. 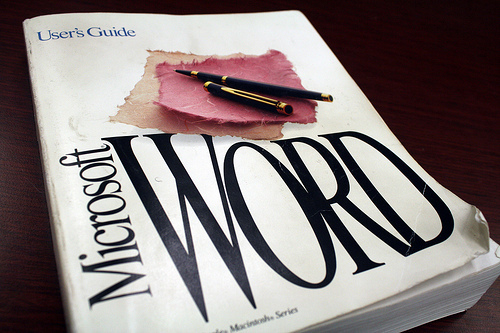 I also bought Word (well, Office Suite, but Word was the most important program for me). Last month, the internal hard drive crashed. Through the wonderful (really wonderful) efforts of Apple Support, I was able to migrate almost everything to an external hard drive. That’s where it gets weird. Although Word migrated, I couldn’t open it without the key code. I expected this. I had bought the one-use-only version, so the program thought I was trying to install it on a new computer. All I needed to do was input the key code and I’d be fine. Except there was no proof anywhere that I’d purchased it. Not in my email, not in my Microsoft account online, and the wonderful store where I’d bought my iMac closed two years ago after 29 years (RIP Tekserve). Apparently I’d been typing in a program that didn’t exist. I have no explanation for this. Of course, I’m going to buy it soon but will really miss my version. The new one isn’t thrilling me. And there you have it, people. Ghosts exist in many forms.